The Edna Waddell scholarships are for women entering their first year of full time study for undergraduate degrees in professional engineering or technology - open to school leavers and mature women. Each scholarship is for one year, the initial year of study. The object of the scholarship is to enable students who have shown ability in physics or a combination of physics and mathematics to undertake doctoral study in meteorology or some other branch of science, either in New Zealand or overseas. To assist students studying for the degrees of Bachelor of Engineering (BE) (Honours) and the Bachelor of Engineering Technology (BET) at AUT University. 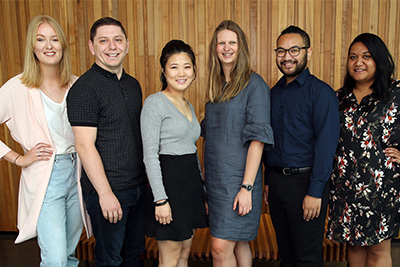 The aim of the Eric and Kathy Hertz Residential Scholarships is to offer financial assistance for Māori or Pacific students that may find hardship in funding their first year of accommodation in a Halls of Residence. The aim of the Eric and Kathy Hertz USA Exchange Scholarships is to offer financial assistance for Māori or Pacific students that may find hardship in funding an exchange.